Microbiology studies living microorganisms and everything they entail. 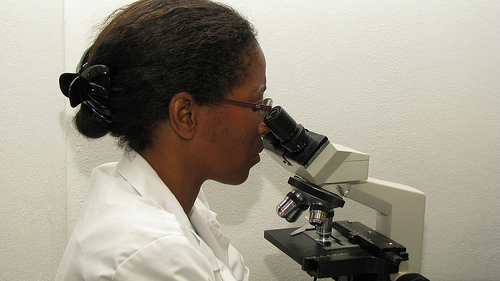 A course on Microbiology is often a requirement for students who are taking medical or health-related degrees. If you would rather take your Microbiology course separate from your other semester courses and if you wish to study in the comforts of your living room or den, you can take your classes via the internet technology. Microbiology online courses for credit are available through a few select campus-based schools in the United States with online extension programs. You will have to thoroughly check the topics covered by the online Microbiology course just to make sure that you will be taking a course that is similar to what is required for your degree. When you look through the internet for online Microbiology courses for credit, you will most likely find a few university websites that offer this course. However, there are Microbiology courses that do not include lab work and generally Microbiology requirements include lab work. The University of New England has an online Microbiology course that include lab work so you needn’t go to another website for your complementary lab work. The lecture part of the course is worth three credits plus the laboratory part is worth one credit. This gives you a total of four credits in all for this particular online Microbiology course. The University of New England has partnered with a provider of online virtual lab software which you will be using for your lab work. On the university’s website, you will be given a link which will take you to the site of the software provider. Here, you will be given a brief look at how the virtual lab works and how you can complete your lab requirements through the software program and the university’s specific instructions based on their curriculum. In order to complete your Microbiology online course for credit, you will need to take a final exam. If you are nowhere near the university’s campus, you can take your exam online. This online exam is a proctored exam and again, just like with the virtual lab, you will be given instructions on how to schedule and take your exams with the guidance of an online live proctor. Basically, you will be taken to another website where you will sign-up for the proctored exam. The proctor will first check that you are enrolled in the course that you wish to take the exam for. Before you begin your test, the proctor will also ask you to sweep your webcam over the table where your computer is set. This will ensure that you do not have any open notes or references that you can use during your exam. You will also be asked to show your valid ID to make sure that the person sitting in front of the webcam is the same person who is enrolled in the course. Once everything is in order, you can now start on your exam.